Star Wars Battlefront 2 made several big mistakes and game developer EA knows it. The biggest of these mistakes is the whole loot box situation, which has been met with opposition from fans and even lawmakers, some of whom feel that these upgrade systems can become predatory. While EA has scrambled to make improvements in the months since the game's release last November, they've failed to win back many fans who they lost in the beginning. EA's newly appointed chief designer, Patrick Soderlund, is very aware of these issues and vows to not make the same mistakes in the future. Patrick Soderlund is now one of the top people in charge of EA, who currently work with Lucasfilm to develop new Star Wars games. Speaking in a recent interview, Soderlund discussed the situation with the loot boxes and acknowledged that they failed many fans and that they can't afford to make those same mistakes in the future. Here's what he had to say about it. "We have taken significant steps as a company to review and understand the mechanics around monetization, loot boxes, and other things in our games before they go to market. For games that come next, for Battlefield or for Anthem, [players have] made it very clear that we can't afford to make similar mistakes. And we won't." 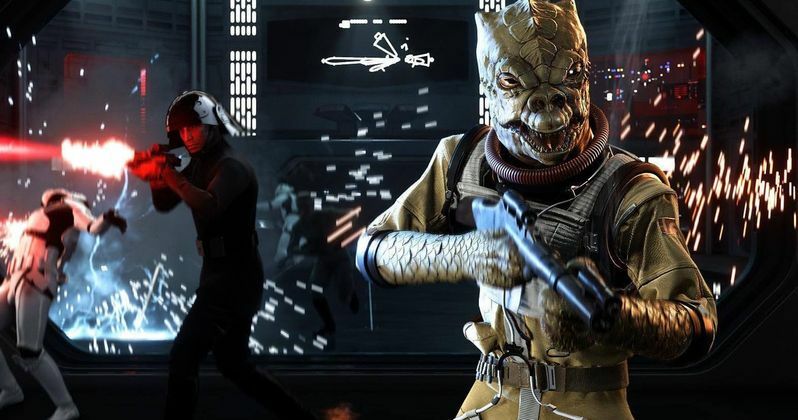 Initially, those who purchased Star Wars Battlefront 2 would have to either spend thousands of dollars to upgrade their characters, or spend an unreasonable number of hours earning the upgrades via gameplay. Players were furious and, as a result, EA turned off the loot box feature until it was retooled. Still, the damage was done in many ways. Despite many improvements made to the new Battlefront, including a single-player campaign that actually tells a canon Star Wars story, the game has failed to meet sales expectations. Patrick Soderlund continued, bluntly saying they got it wrong, but also taking a moment to pat EA on the back for what they did right. "We got it wrong. And as a result, we had to take very quick and drastic actions to turn everything off, and we've since worked and redesigned the progression system. People seem to appreciate what we've done, players are coming back, and we're seeing stronger engagement numbers. People seem to think that for the most part, we got it right...we'll have to be very cautious with what this means for future products." For years before Disney started making new Star Wars movies, video games were the best place to get new content within a galaxy far, far away. Yet, under the Disney regime, the games have arguably suffered the most, which is unfortunate for fans. The good news? Microsoft recently announced that the original Star Wars: Battlefront and Star Wars: Battlefront 2 have been added to the backwards compatibility feature on Xbox One. So you can just go back to playing those until we good a solid, new Star Wars game to play. This news comes to us courtesy of The Verge.